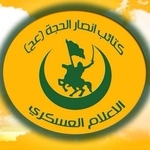 Kata'ib Ansar al-Hijja (2) is an Iraqi Shi'a miltiia led by Ahmad al-Fariji as part of "The Islamic Movement in Iraq" (al-Harakat al-Islamiya fi al-Iraq). It is not to be confused with the Kata'ib Ansar al-Hijja (also known as Liwa/Quwat Ansar al-Hijja) led by Sheikh Muhammad al-Kinani. Indeed, Kata'ib Ansar al-Hijja (2) has issued a clarification statement to that effect. 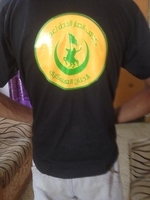 The militia defines itself as part of the "Islamic Resistance" (al-Muqawama al-Islamiya) and the Hashd Sha'abi committee of Shi'a militias that in theory is under the authority of the Iraqi prime minister. Ideologically, Kata'ib Ansar al-Hijja (2) appears to identify with Iran and its Supreme Leader Ayatollah Khamene'i, while also showing reverence for Ayatollah Muhmmad Muhammad Sadeq al-Sadr. Kata'ib Ansar al-Hijja (2) has most notably participated in the Baiji offensive against the Islamic State launched by Iraqi forces in fall 2015.